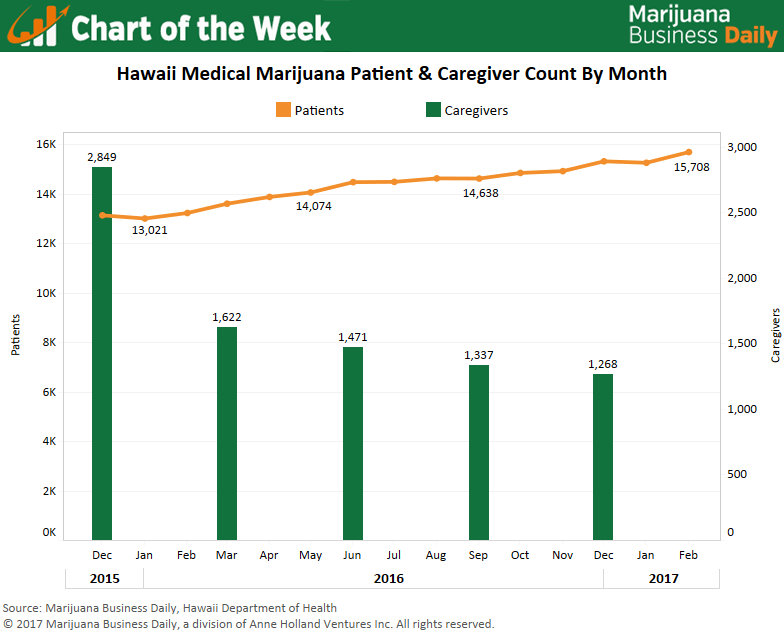 Hawaii’s medical marijuana businesses have good reason to be bullish with the approaching launch of the state’s MMJ industry: Patient counts are rising, while the number of registered caregivers growing medical cannabis for people is dwindling. 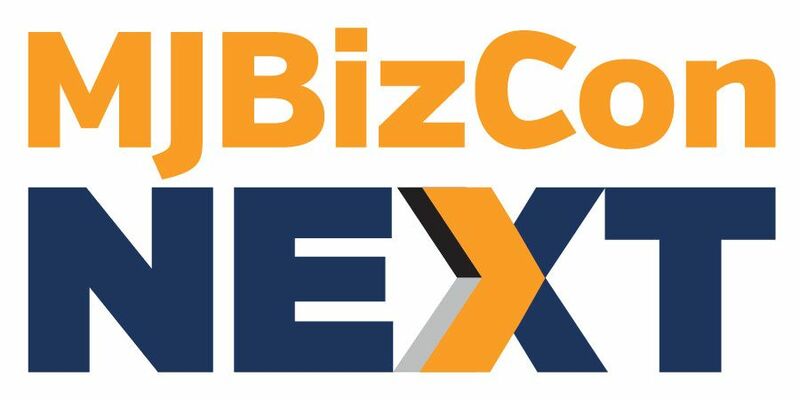 That should ease potential competition for the state’s eight vertically integrated MMJ businesses as they prepare to open their doors in the coming months. From December 2015 to December 2016, the number of MMJ patients in Hawaii rose by 17%. By contrast, the number of registered caregivers tumbled 55% over the same period of time. Caregivers have been allowed to grow MMJ for patients since 2000. State law is set to eliminate the caregiver program by Jan. 1, 2019, although there will be limited exceptions. Until then, the remaining caregivers will be in direct competition with licensed dispensary operators. Without the need to comply with complex regulatory requirements or pay exorbitant licensing fees, caregivers will almost certainly be able to provide MMJ at deeply discounted prices relative to the licensed businesses. But caregivers are permitted to grow MMJ only for one patient at a time, and a 55% reduction in the number of caregivers means nearly 1,600 registered patients will need to find another source of medical marijuana. Home cultivation is an option for every patient, and the black market is expected to maintain a significant presence in the state. But dispensary operators may be able to attract patients with product offerings outside of traditional flower – such as concentrates and infused lotions. The Hawaii Department of Health awarded the eight MMJ licenses in April 2016, with each winner allowed to operate two dispensaries and two cultivation centers. The businesses were technically allowed to begin serving patients in July, but state law requires plants to be tracked from seed to sale. The process of linking the Department of Health’s tracking system to the software used by the eight licensed MMJ companies caused considerable delays. The system is now online, although a recent report noted it still must be hooked up to the MMJ patient registry. Meanwhile, final inspections are underway and the state is approving businesses to begin growing marijuana. So far, four businesses have been given the green light to begin production – Maui Wellness Group, Aloha Green Holdings, Manoa Botanicals and Pono Life Sciences Maui – while final inspections for more businesses are expected in the weeks and months ahead. With production of medical marijuana already proceeding and inspections for dispensaries and laboratories imminent, sales should begin in the coming months. Once underway, patient counts are expected to rise even more. Considering the State’s guidance was that product would be available late last summer (2016) and my prognostication included in an MJ Business article last summer stated summer of 2017 at the earliest (I think Omar was the MJB Author) … I win? While PA has stated announcements in 90 days, I am still thinking grower processor announcements in 90+ days with the dispensary announcements soon there after in the interest of continuing to make their deadlines and the 360 applications they received for consideration (no breakdown I could find).